If a nation desires to develop in the true sense, it must take care of the minority communities as well. Special schemes and economic programs have been designed and implemented by the central government for the betterment of the minority communities. Each 5 year plans have something new for them. One such scheme was the Multi-sectoral Development Programme. 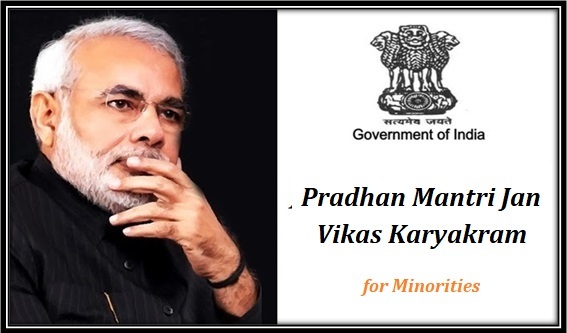 But recently, the PM has taken the decision to change the name of this program to Pradhan Mantri Jan Vikas Karyakram. Minority communities fail to cope up with the overall development as they do not have the financial capability to attain proper educational, skill developmental and health facilities. With the help of this program, the central government will offer financial assistance to candidates, belonging to these categories, to get a better footing. Offer better social and financial facilities – The main objective of this scheme is to offer better social as well as financial foundation for the minority communities. It will develop health, medical and job opportunities for them. Reduce national average gap – The national gap between the rest of the nation and minority communities is significant. The scheme will lessen this gap significantly. Speedy creation and implementation of scheme – Another interesting feature of this scheme is it will not only design developmental programs, but will also take steps to implement them faster. Use of resources for minority welfare – PM also announced that 80% of all available resources will go into the development of people belonging to minority communities. Apart from this, anything between 33% and 40% will be utilized for development of women reform schemes. Spread of the scheme – Till now, around 196 districts were brought under the previous scheme. With the revamping of this program, PM announced that 308 more districts will be brought under the umbrella. An area that had around 50% minority people used to be marked as a potential area. To bring in more areas under this scheme, the central government has lowered this percentage to 25%. The authority was implementing the scheme in those areas which were socially, economically and facility wise backward. In the meeting the PM announced that from now on any area that is identified as lacks any of these aspects will be assimilated in this yojana. In this meeting, the PM announced that the entire scheme will be implemented and monitored by the Ministry of Minority Affairs. The same department will be responsible for meeting the financial requirements of this scheme as well. For now, a whopping sum of Rs. 3,972 crore has been allotted for this minority development yojana.